New York: Luke Voit and Robinson Cano smashed first-inning home runs to power victories by the New York Yankees and New York Mets in Thursday’s Major League Baseball 2019 US season openers. The major league season began last week with the Seattle Mariners winning twice over the Oakland A’s in games played at Japan’s Tokyo Dome. But the six-month campaign began for the other 28 clubs with typical Opening Day-style festivities across several venues, starting with the Yankees’ 7-2 win over Baltimore in New York and the Mets’ 2-0 win at Washington. Mets second baseman Cano smacked a homer off Washington Nationals ace Max Scherzer in his first time at bat for the visiting Mets. Cano, in his first season with a National League club after 14 years with the Yankees and Seattle, also hit a run-scoring single to left field in the eighth inning to create the final margin. The game was the first in the major leagues in 40 years with a prior year Cy Young Award winner facing the runner-up as mound rivals in a season opener, with Scherzer losing to New York’s Jacob deGrom, who unseated him for the National League award in 2018. In New York, Yankees designated hitter Voit blasted a three-run homer in the first inning. Aaron Judge scored from third base in the third inning when Miguel Andujar grounded into a bases loaded double play to give the Yankees a 4-0 edge. 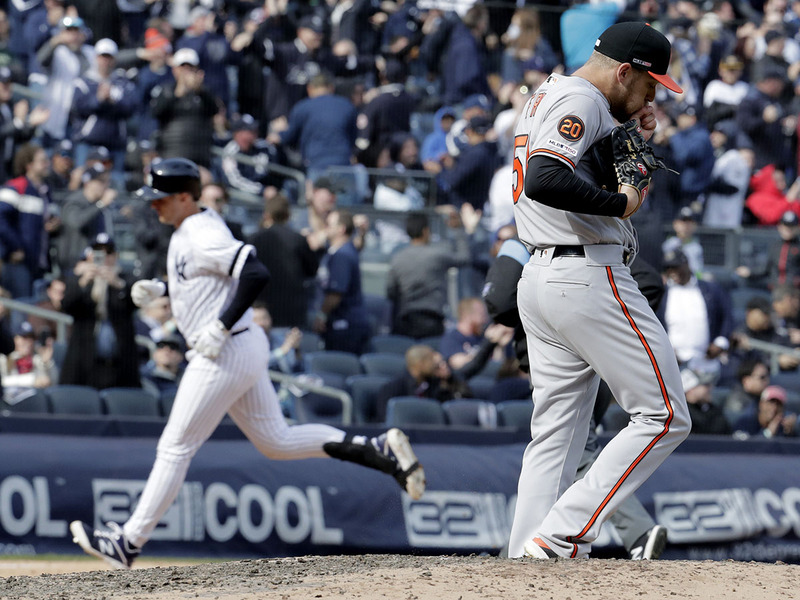 After the Orioles scored a run in the fourth, the Yankees answered with two more in the fifth when Voit was hit by a pitch with the bases loaded and Andujar added a sacrifice fly to score Judge from third. Baltimore’s Trey Mancini scored in the fourth and doubled in a run in the sixth but Greg Bird answered with a solo homer in the eighth for the Yankees. Japan’s Masahiro Tanaka took the victory for the Yankees, pitching 5 2/3 innings with five strikeouts while scattering six hits with no walks and only two runs allowed. The loss ended what had been the longest active win streak in openers as Baltimore had taken eight in a row. The Orioles had also won their past three openers against the Yankees. Thursday’s final game was set to see the reigning World Series champion Boston Red Sox begin defending their crown at Seattle.